WASHINGTON — Satellite hardware and network builder Gilat of Israel, seeking to interest cellular operators in expanding their reach by satellite, is pressing forward with a strategy of building the entire network for them in exchange for multi-year commitments to pay for the service. Gilat executives said having nearly $90 million in cash allows the company to front the cost of the customer’s network and make it back on the service contract. Gilat on Feb. 13 reported $282.8 million in 2017 full-year revenues, essentially flat with last year’s $279.6 million. Adjusted EBITDA, or earnings before interest, taxes, depreciation and amortization, increased 36.2 percent from $19.2 million to $26.2 million year over year. Cellular backhaul for mobile network operators and inflight connectivity for aeronautical service providers are Gilat’s two primary areas of growth. Connecting rural locations and mobile platforms comprised roughly 70 percent of Gilat’s 2017 revenue, while the balance came from building terrestrial infrastructure, such as fiber lines and microwave towers. Speaking to investors Feb. 13, Gilat Chief Financial Officer Adi Sfadia said the pivot to offering turnkey products to mobile network operators started two years ago, and includes very small aperture terminals (VSATs), hubs to control the network, installation, maintenance and oftentimes satellite capacity. Yona Ovadia, Gilat’s CEO, said the company received multi-year LTE backhaul orders from telcos Sprint and T-Mobile in the U.S., and Globe in the Philippines, thanks to this bundled infrastructure and service model. Peru’s Telecommunications Investment Fund, Fitel, is one of Gilat’s major customers, paying the company to build satellite and terrestrial infrastructure in remote regions of the country. Fitel ordered some $400 million worth of fiber and microwave networks from the company in 2015. Sfadia told SpaceNews Feb. 14 by email that Gilat did offer bids for the Fitel projects, but lost to competitors. Fitel bids are “complicated,” he said, because the agency offers to subsidize some of the infrastructure construction, but also requests extra features such as additional sites, depending on the size of the subsidy. “The combination of the two drive[s] the margin on the offer,” he said. Gilat generates revenue from services offered over networks it builds for Fitel, Sfadia said. 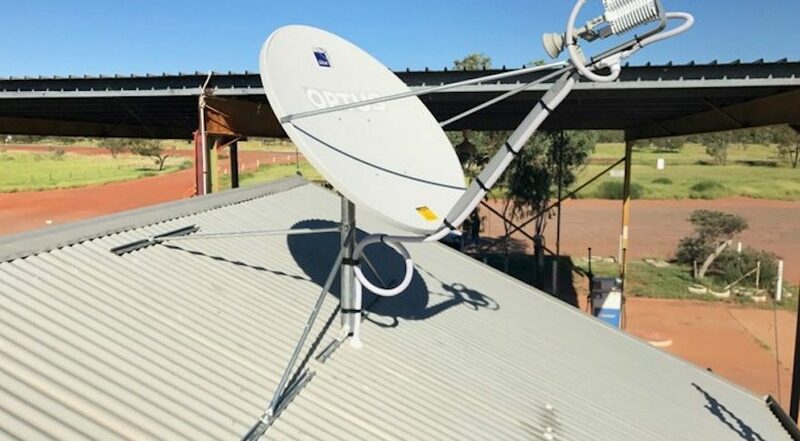 Last week, Gilat received a contract worth “tens of millions of dollars” from Australia’s National Broadband Network and satellite network operator SpeedCast for a business-focused satellite service across Australia. Ovadia said that project, as well as others including one with Brazil’s Telebras, are evidence of new growth in enterprise connectivity. He described enterprise, which includes connecting businesses like gas stations, restaurants and chain stores, as a business opportunity for Gilat not far removed from cellular backhaul, and one that could grow meaningfully as satellite capacity prices continue to decline.